David McConnell’s American Honor Killings Winner of 2014 Stonewall Book Award! Congratulations to David McConnell, whose latest book, American Honor Killings: Desire and Rage Among Men, has received the 2014 Stonewall Book Award-Israel Fishman Non-Fiction Award! Ziggy Marley, who received his sixth Grammy Award in 2014 for Best Reggae Album, announces his fifth studio album, FLY RASTA, which will be released simultaneously with his debut children’s book, I Love You Too! We used to sit in my friend Stevie’s tree house and huff nitrous oxide out of a gas cracker we had stolen from Crate & Barrel at the mall. Stevie’s older brother bought the cartridges for us at the local head shop. They were silver and shaped like bullets. They looked the same as the CO2 cartridges we used to operate Stevie’s BB gun, which we also kept in the tree house. The tree house was where we kept everything we held dear that summer . . . 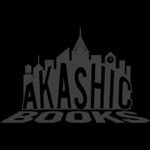 Welcome to Akashic in Good Company! This week, take a walk through the Booksmith, wonderful Haight-Ashbury bookshop with a unicorn for a pet! Former Akashic intern Lisa Martens reviews Aaron’s Leap by Magdaléna Platzová (Bellevue Literary Press). The last time we moved was because she said an ex of hers had shown up and zigzagged a razor through her wrists. The time before that she said a pair of meth heads broke in during the day and left her barely living after wrapping a shower curtain around her neck . . .